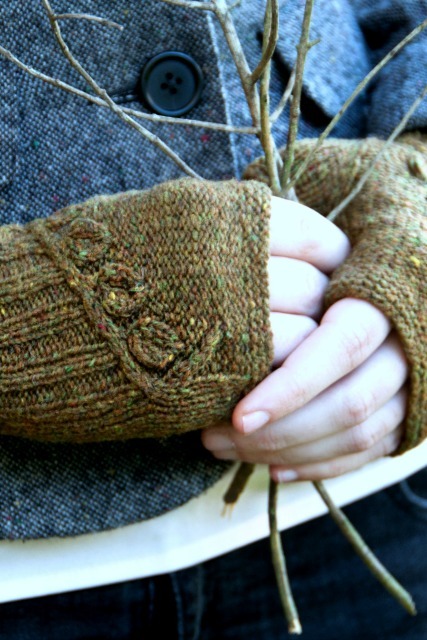 Lightweight, cropped fingerless mitts with a leafy branch gracefully extending over the back of the hand. 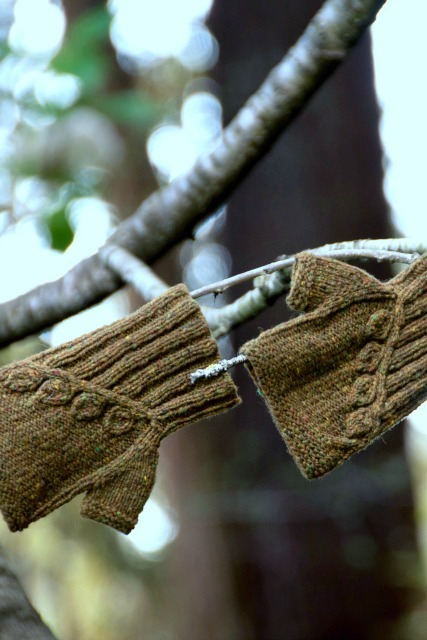 Designed to coordinate with the Twigs and Willows cardigan from Botanical Knits. 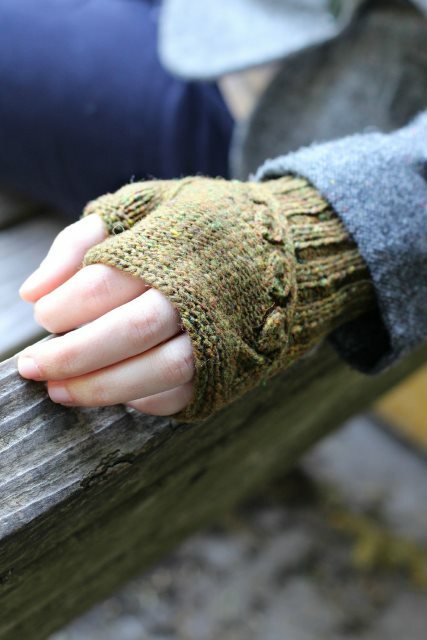 28 sts and 40 rows over 4" / 10 cm in St st worked in the rnd on US2 / 2.75 mm needles or size needed for accurate gauge.